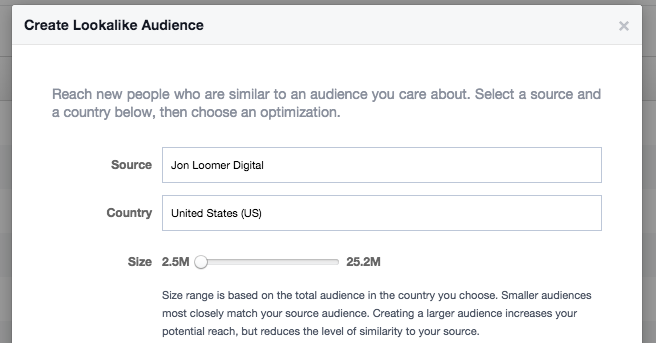 I’m often asked about the audiences that should be targeted in Facebook ads for optimal success. There are seemingly an infinite number of targeting combinations, so the confusion is understandable. While your objective will always help determine targeting method, following is a simplified priority list of how I recommend you target. Audience sizes and budget will also influence which of these audiences you use, but I offer this list as a starting point. When creating Website Custom Audiences, you can choose to include only those who have visited a specific page of your website. While this will often be the smallest audience, it also tends to be the most relevant and powerful option available. I can create an abandoned shopping cart ad targeting those who have visited the landing page of a product (or added to cart) but did not complete the purchase. Since I know my targeted audience made it this far, I can craft my copy accordingly. They don’t need to be introduced to the product, but rather be pushed towards completing the purchase. I could also promote a piece of content, opt-in or product based on a related blog post visited. If you read a blog post of mine that is a guide to using Power Editor, I’d be wise to run ads to these visitors for either my Power Editor ebook or training course. Another way I have used this recently while receiving amazing results was within my Facebook ads experiment. By creating individual Website Custom Audiences for single pages of my website, I was able to both create an opt-in that didn’t require an email address and funnel people according to the pages they have or haven’t yet read. Note that this audience is ideal for both targeting and excluding. While promoting a product or opt-in, I may want to exclude those who already bought or opted in. One way to do that is by excluding the WCA for the success page following the conversion. You could also exclude the email Custom Audience, but there are advantages to excluding the WCA for the success page. Not only is the WCA updated dynamically (the email Custom Audience is not), but your email list is likely only going to match up about 50% of the time with Facebook users — meaning you won’t always exclude those you want to exclude. WCAs are almost always going to match up. Partnered with the email Custom Audience exclusion, you should be covered. A WCA for a single web page can produce amazing results, but the small audience size is an obstacle for many brands. We can open things up a bit by targeting people who visited individual sections of your website. 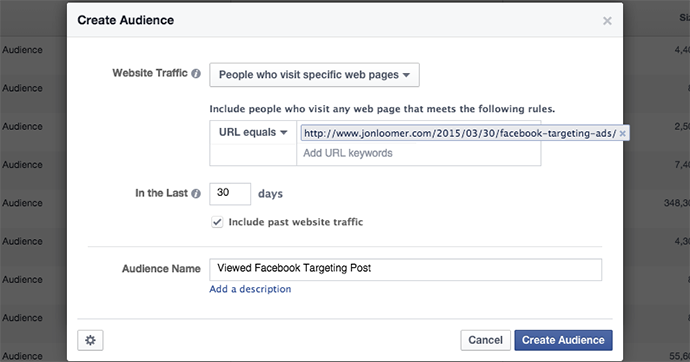 I bolded “facebook-ads” in the example above as the category within the URL. Let’s say that I have 100 blog posts within the Facebook Ads category. I could then create a WCA of anyone who has visited any page of that category of my website. That way, we aren’t focusing on traffic of a single page, but dozens of related pages. This can be especially helpful if something I am promoting is closely related to a category of content. 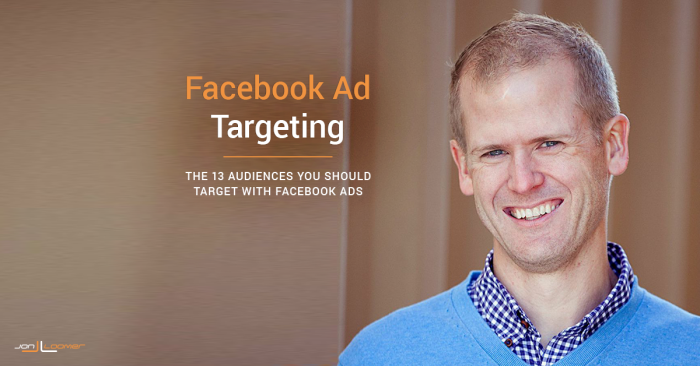 If I wrote content about personal use of Facebook, general Facebook marketing, Facebook ads and other social media topics, for example, it would be useful to target ads at specific types of visitors. Even if the content category does not appear in the URL (it does not on my website), keywords can still be useful. If your URLs are descriptive (they should be), you can create WCAs for those keywords in the URL. 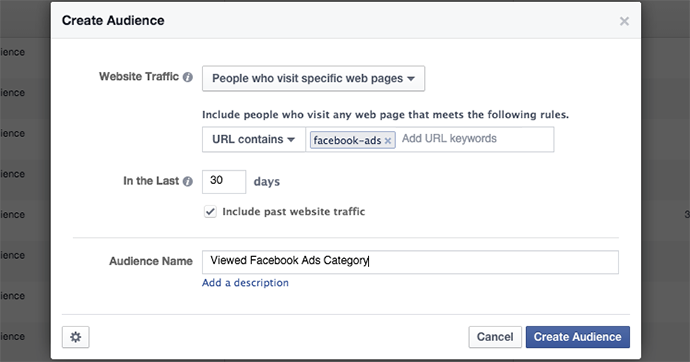 Going back to the Facebook Ads category example, I’ve written several blog posts that simply have “facebook-ads” in the URL. Therefore, I could create a WCA for that keyword to target anyone who has visited pages of my website with “facebook-ads” in the URL. The first two are great for websites that get a significant amount of traffic, but even the keyword WCA will produce small audiences for lightly trafficked websites. If you get even several thousand visitors to your website a month, I strongly recommend targeting all website visitors with a Website Custom Audience. The duration will depend upon the amount of traffic you get (low traffic would require a higher duration, high traffic gives you more freedom to limit the duration) and budget (the higher the budget, the more likely you’ll need a higher duration), but this is an option that can work for just about anyone. I use the All Website Visitors – 30 Days WCA for many purposes: promoting blog posts, opt-ins, products or page likes. Since my website has content that covers a tight niche, I can confidently use that audience for just about anything. This is used similarly to #1 and #2 — which I prefer — but targeting and excluding this way also has its benefits. When someone buys a particular product or opts in, they should be added to a segment of your email list. That often means getting tagged but as long as your list gets segmented, you can then create a Custom Audience from this group. This can be useful for targeting. If someone bought widget 1.0, I want to reach these people when version 2.0 is available. Since WCAs have a 180 day maximum duration, an email Custom Audience has the advantage here. I would also want to use it for exclusions, similarly to how we use the individual page WCA for that purpose in #1. When promoting a product or opt-in, I may want to exclude those who have already bought or opted in. One way to do that is by excluding that segment of your email list. There is again a parallel to #3. Similar to how targeting all website visitors will give you a larger audience than targeting those who visit individual pages, targeting your entire email list will give you more people to target than by individual segment or tag. There are several things to consider with this approach that will lead to positives and negatives. First, your email list does not expire. That’s a positive over WCAs (that have a 180 day duration limit), but that also means that you could have very old and stale email addresses within your targeting list. Second, the reasons someone might be on your email list will vary. Some will undoubtedly be more relevant than others. Finally, again remember that only about 50% of your email addresses will match up to actual Facebook users. So if you have a list of 10,000 customers in the US, the most you could ever target would be about 5,000. I continually hear people make the claim that page likes no longer matter due to dropping organic reach, but I find this to be way off base. Not only is organic reach far from dead, but when a Facebook page audience is built properly it gives you awesome targeting power. Again, assuming you build your page the right way, when a user chooses to like your page they are essentially bucketing themselves for you. Let’s say that of 100,000 people you target within a particular interest, 1,000 chose to like your page. That helps you separate the 1,000 from the other 99,000. One can easily assume that the 1,000 who chose to like your page will be more likely to engage with you in other ways, too. They are more likely to read your blog posts, opt-in for free offers and buy your products. I’ve seen it over and over again. If you build page likes with poorly targeted ads, fluff content, unrelated giveaways or shady practices (buying likes), don’t expect this to be an effective targeting group. Otherwise, it can be a goldmine! This is in priority order, and if you have the website traffic, fan base and email list to support your budget, there’s very little reason to do much from this level on down for purposes other than experimentation. That said, there are some interesting options here, and I also realize that most brands don’t have the luxury of large website traffic, email lists and fan bases. As a result, getting creative with other targeting options will be more than just on an experimental basis, but it will be the primary targeting method. Lookalike Audiences can help you leverage those smaller audiences you already have by allowing Facebook to find people similar to those customers, subscribers or fans. While you certainly can simply target those Lookalike Audiences (that standalone option is lower in the priority list), I’d also recommend strategically layering in interests and behaviors. When you create a Lookalike Audience from your customer list, for example, you may want to help Facebook isolate the people most likely to engage or convert. 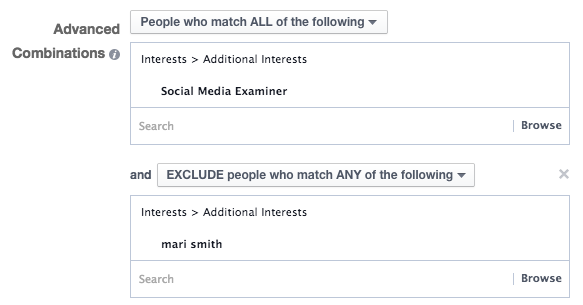 So when targeting that Lookalike Audience, you may also include specific interests and behaviors. This way, you won’t target everyone within that Lookalike Audience — which is often a huge audience and may not be as relevant as you’d like. Now you can focus only on those in the audience who also have specific related interests or behaviors. Of course, it’s important that you choose these layered interests and behaviors wisely. One way to do this is by using Audience Insights to learn more about your audience or related audiences. Okay, most people don’t have this feature. 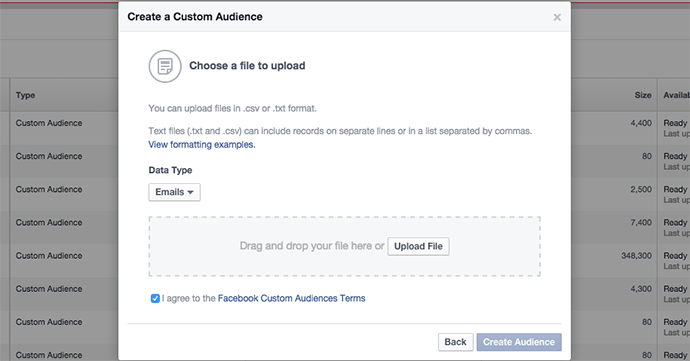 But it’s available within the Facebook ads API and to a select number of Power Editor beta users. 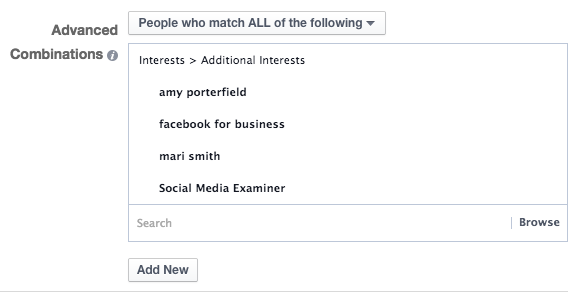 In other words, if you list four interests in your targeting, your ad will reach anyone with any of those interests. To be effective, though, you need to be sure that each one of those independent interests is productive. If so, limiting the audience to those related to all four could be much more efficient. Additionally, what if you wanted to do this? Most advertisers can’t exclude interests or behaviors, but again this functionality is built into the ads API and within Power Editor for some users. People are more likely to perform an action — like a page, click a link, comment on a post, buy a product, etc. — if a friend did, too. That’s social proof in action. You can target Friends of Fans within connections when editing your audience. I’d caution you, though, from targeting only those people who are friends of fans without any other considerations. Unless it actually leads to substantive actions like sales or opt-ins, it could lead to some misleading results without proper layering. For example, you could get additional engagement or increase page likes at a low cost by targeting people who happen to be friends of fans. But the quality of those people may not be high. They were motivated to participate because a friend did, but may not be likely to actually buy if the don’t have any other relevant history. So, you may want to avoid “fluff” engagement and users by including some additional layering. Going after people connected to a Lookalike Audience or interest, for example, who are also friends of fans may be a pretty nice idea. As mentioned in #7, Lookalike Audiences are a good way to widen the net on an otherwise small but relevant audience. 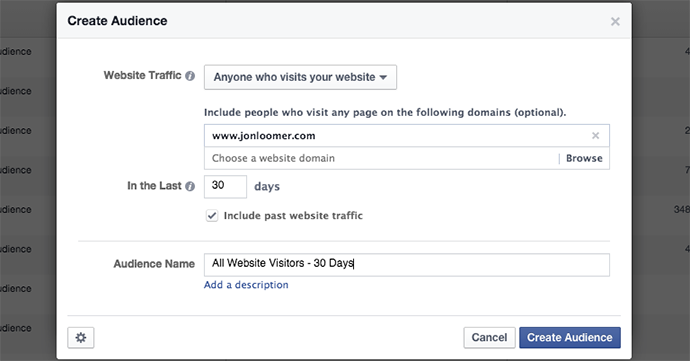 Facebook will look at current website visitors, subscribers or fans and find other users who are similar to them based on interests, behaviors and other factors. I personally prefer this over interest or behavioral targeting. You may otherwise guess when determining the best interests or behaviors to target related to your brand or service. Using Lookalike Audiences essentially automates that process. While many advertisers have seen low costs while using Lookalike Audiences, I’d recommend using them for the top of the funnel only if you have the option. These are people unlikely to know your brand, so they would be good people to target to read your article or engage with your post. It’s difficult to understand what exactly goes into an interest. 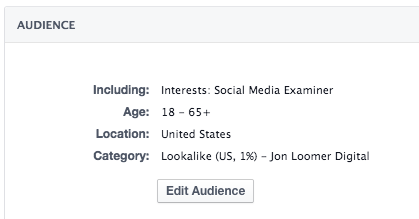 If I were to target the “social media marketing” interest, for example, Facebook would target people connected to that interest in some way. That doesn’t necessarily mean they like a specific page, but that they engaged in some way with content that Facebook considers related to that interest. That’s some murky territory, but the options within More Demographics are much more cleanly defined. These are based on very specific information that a user puts into their profile. If you want to target married people who attended Cornell College during the years of 1993-97 with a focus in Philosophy and who worked for the National Basketball Association, you can do that. While this isn’t useful to everyone, there are certainly times when that granularity would be useful. Behavioral targeting is potentially powerful. It’s based on what people actually do — often away from Facebook — and what they spend their money on. Looks awesome, right? It more or less is. But there are limitations. The vast majority of this targeting only covers users in the United States and is available only to US advertisers. That’s a pretty big problem. Even if you are a US advertiser targeting only users in the United States, this data isn’t complete. There are also varying reports on accuracy and effectiveness. 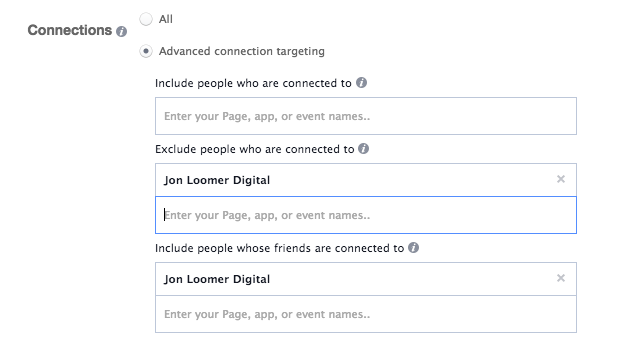 Facebook has even removed some of the less effective behavioral targeting options. The potential is there. Targeting behaviors can work. But it’s pretty low on my priority list of things I’d try. 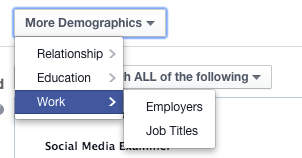 Behaviors are largely based on Partner Categories, and Facebook updated the categories you can target on January 20, 2015. I wrote a blog post for Power Hitters Club members as a resource that provides the full list of new categories as well as those are now only available by request. You can read that post here. The oldest of all targeting options, it’s only natural that interests would be last on this list. You target interests when your traffic is low. When your email list is small. When your fan base is nonexistent. You target interests when nothing else is available. Interests are broad and very loosely defined. It’s never entirely clear what actions and people make up a particular interest. So you are making an educated guess — and putting a lot of trust in Facebook — when you target this way. 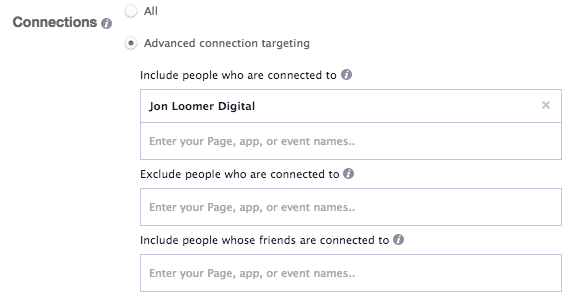 That said, interest targeting is still better than most targeting options available anywhere outside of Facebook. It’s just that your options within Facebook are so freaking good that relying only on interests should be a last resort. What targeting methods do you find most effective?